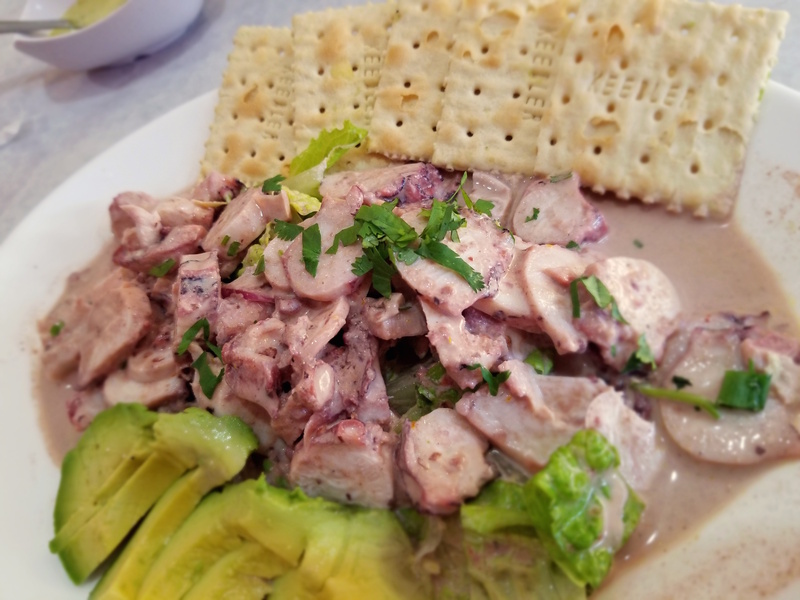 La Cevicheria’s got the best mixto in Rockaway Beach. A Peruvian breakfast sandwich in a Rego Park diner. An old school diner is the last place one would expect to find such Peruvian specialties as papa la Huancaina, sliced potatoes in a cheese sauce spiked with aji amarillo, and cau cau, a tripe stew. In Queens though, such cultural cross pollination is becoming more and more common. Take the Rego Park Café, where a separate menu called La Mistura Peruana went into effect over the summer. Chez Wong’s ceviche took top honors at the Chowzter Awards in London. Last November I had the privilege of taking Jeffrey Merrihue, founder of Chowzter, and Richard Vines, Bloomberg’s U.K. food critic, on a whirlwind food tour of Queens. The goal of the tour was to showcase the best Queens had to offer. We only made it to about ten of the stops out of the 16 I’d planned, but we had a blast doing it, hitting such Flushing favorites as Taipei Hong’s secret fried chicken and Soybean Flower Chen along the way. Peruvian hot sauce and Taiwanese chicken, together at last. Welcome to the sixth installment of C+M’s ongoing series of audio guides on how to order authentically spicy food in ethnic restaurants. As a service to C+M readers Anne Noyes Saini has been compiling a series of audio guides demonstrating phrases in several relevant languages, which can be used to navigate ordering situations fraught with tricky cultural and language barriers. A million years ago when I worked in an office, breakfast sandwiches—two eggs, with cheese, and bacon—as served by New York City coffee carts were a favorite way to start the day. In the culinary wonderland that is Queens, there are all sorts of breakfast sandwiches from all over the world. Today, a look at a few of my favorites.